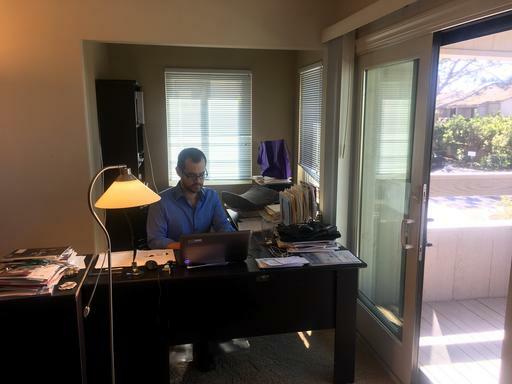 DEL MAR, Calif. (AP) — A man who was imprisoned for four months in Venezuela is now with his parents in California and spoke of his incarceration and his brief encounter with Joshua Holt, a Utah man and high-profile prisoner who was arrested this year on weapons charges. Holt, a member of The Church of Jesus Christ of Latter-day Saints from Draper, is described by Venezuelan officials as an agent of U.S. intelligence and a dangerous terrorist. However, Holt’s family members said he traveled to Venezuela to marry a woman and bring her and her two children back to the United States, the Washington Post reports. Francisco Marquez says he constantly heard screams from prisoners being beaten in neighboring cells. He once saw a dozen inmates handcuffed, forced to run naked for hours under the hot sun as punishment for a failed escape attempt. The 30-year-old dual U.S. citizen spoke of his four-month incarceration in his native Venezuela on Thursday, two days after he was freed and boarded a flight to join his parents in Southern California. He was arrested in June while taking part in a nationwide recall campaign against President Nicolas Maduro and accused of trying to foment violence. He says a judge dismissed charges in late July, leaving the socialist government with no justification to hold him. Marquez lived in seven cells at four jails. The worst by far was the July 26th prison in central Venezuela, where he spent about two months and shared a cell with six others. He said he was never physically beaten but knew many who were and lived in fear that he might be next. Marquez said his lawyers told him he was required to leave Venezuela immediately and avoid media exposure until he was gone. He believes diplomatic pressure contributed to his freedom but has no evidence and doesn’t know if pressure was applied by the U.S. government, which welcomed his release. Venezuela’s Ministry of Information did not immediately respond to a request for comment. On Thursday, Venezuela’s Supreme Court said it was granting house arrest to another imprisoned opposition activist. Former presidential candidate Manuel Rosales has been jailed for a year on corruption charges. He was arrested at the airport in October 2015 after he returned to the country following six years in exile. The court did not say why it was granting Rosales house arrest. Marquez was born in Caracas and spent all his life in Venezuela, except eight years growing up in the Boston and Columbus, Ohio, areas, and as a student at Harvard University’s Kennedy School of Government, where he graduated in 2012. His Venezuelan mother was born in New York City, allowing him U.S. citizenship. Marquez campaigned for opposition candidates in 2006 and 2012 against Maduro’s predecessor, Hugo Chavez, who died in 2013. He was chief of staff to an opposition mayor in the Caracas area when he was arrested. While driving in western Venezuela on a campaign to collect signatures for Maduro’s recall, the National Guard found nearly $3,000 in local currency in his trunk at a highway checkpoint and about 150 pamphlets in the back seat that exposed his political leanings. “I was very surprised at the moment, the way it was done,” Marquez said. Intelligence officers interrogated him throughout the night over his political affiliations and other matters. Marquez was rarely allowed to meet with family while in prison. About three days before his release from a jail in Caracas, he saw Holt, a Utah man and high-profile prisoner who was arrested this year on weapons charges. The two men spoke briefly. Marquez said Holt looked fine physically but couldn’t speak to his mental state. On Thursday, Marquez spoke with reporters in Venezuela from a desk in his parents’ living room. He said he will continue to advocate for change in Venezuela and for others who he says are imprisoned there for their political beliefs. Written by HANNAH DREIER in Caracas, Venezuela, Associated Press. MATHEW LEE in Washington contibuted to this report.